The power of advocacy gives us hope for change, particularly in today’s divisive political climate. It’s easy to throw up your hands and give in to the notion that change will never happen; that politics, red tape and bureaucracy stalls everything. And as an “ordinary” citizen, it’s difficult to know how to get involved and affect change. However, we’ve recently seen teens across the nation advocating for safety in schools. And women standing up to sexual harassment with the #metoo movement. It seems more and more people these days are advocating for something that is important to them. But advocacy isn’t a new concept. One leader at Brooks Resources discovered early in his career, that getting involved and advocating on behalf of Central Oregonians, often results in positive, tangible change. We sat down with Brooks Resources Chairman and longtime Central Oregon advocate, Mike Hollern to learn about his experience in effecting change that has had lasting impacts to our region. Q. What does the term “advocacy” mean to you? MH: It sounds so trite to say ‘leaving the world a better place than you found it’. I find giving back, whether it’s lending time, talents, or financial support, simply feels good. Giving creates more pleasure than getting. It’s quite selfish, really. Q. You spent 10 years on the Oregon Transportation Commission (including 7 years as chairman). Why was transportation important to you and what was that experience like? MH: I’ve always been a believer that smart investment in infrastructure is good for the economy. It all started with a somewhat critical letter I wrote to Governor McCall about an expensive project the state undertook on Hwy 26. A few years later, I was appointed to the commission by then Governor Straub and later appointed chairman by Governor Goldschmidt. My experience on the commission was challenging, but very satisfying. Our commission was tasked with overseeing 5,000+ employees and setting the priorities for major investment. Even though statewide infrastructure is steeped in a very bureaucratic process, we were able to develop a statewide multi-modal transportation plan and convince the legislature to increase transportation funding significantly. It involved a lot of travel throughout the state; I traveled 250,000 miles on state business while I was chairman. But I got to know the state pretty well. The best part was seeing the fruits of our labor, including right here in Central Oregon: projects like the parkway, widening highways, and promoting alternative transportation options. Q. More recently, you’ve been involved in one of the state’s Regional Solutions Advisory Committees. What does that entail and what outcomes have you seen from that experience? MH: Oregon utilizes more citizen boards and commissions than most states, which I view as a great asset. There are 11 Oregon Regional Solutions Advisory Committees throughout the state and they are tasked by the governor to prioritize issues for their regions, help those priorities come to fruition and to improve the state’s economy and livability. Our committee, which incorporates the tri-county region, worked really hard to review priorities for Central Oregon. Ultimately, we determined that a 4-year university in Central Oregon was our #1 economic priority. We worked with OSU, legislators and community members to help turn that dream into a reality. It is and will continue to be a great benefit to the entire region—not only for the kids growing up in this area having better access higher education, but also for the hundreds of jobs that are created, from faculty to support staff. A university provides stability to our region’s economy, more so than any other industry. What I found particularly satisfying, is that even though the university was sited in Bend, we had strong support from mayors, county commissioners and community leaders in surrounding cities like Sisters, Prineville, Redmond, Madras and LaPine, who saw the value that a Central Oregon university provided to their community. I have great confidence in our future now that OSU Cascades is here to stay. Q. How do you inspire others to get involved and continue the advocacy work you’ve exemplified? MH: Our company’s culture, even back during the Brooks Scanlon days, has always supported and stressed the importance of community involvement and advocacy for the betterment of our community. I’m extremely proud of our team and how involved they are at the local, regional and statewide levels. Our employees serve on numerous boards and committees that range from the OSU Board of Trustees, Oregon Public Broadcasting, Oregon Community Foundation, COCC, High Desert Museum and City Club of Central Oregon, to social services like Family Access Network and Bethlehem Inn. And several employees have served on volunteer city sub-committees such as the Bend Urban Growth Boundary Technical Advisory Committee, the Sewer Infrastructure Advisory Group and the Citywide Transportation Advisory Committee. Not only does this positively impact the community, and keep our pulse on the ever-changing landscape, but it also helps attract and retain good employees who are motivated by service. Whether you’re an advocate for 1 neighbor or 4.1 million Oregonians, it’s critically important. After helping to found Brooks Resources Corporation in the late 60s, Mike has had a large influence on the region over the last 40+ years. 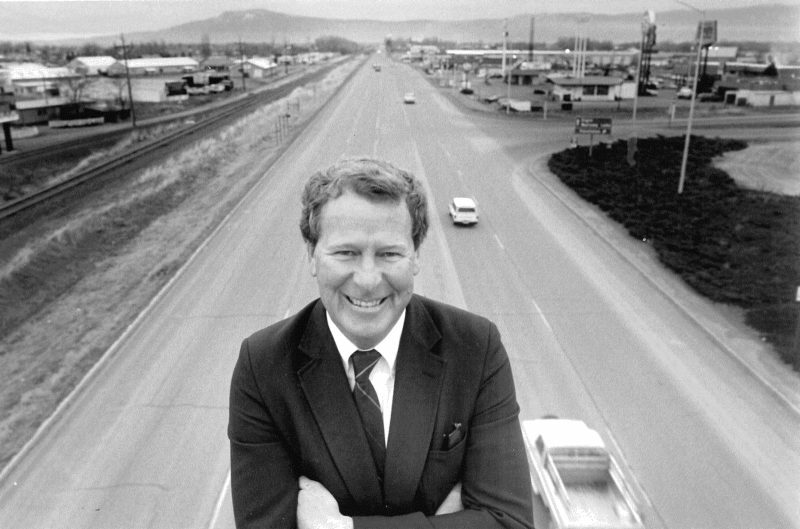 Mike guided Brooks Resources through the fat and thin years of the real estate industry, creating such memorable communities as Black Butte Ranch, North Rim, Awbrey Butte and NorthWest Crossing. He has also helped to shape a company whose name has become synonymous with community support. His vision is apparent throughout the community and he has positively influenced issues such as transportation, education, economic development and cultural resources. Mike is the convener of the state’s Advisory Board of Regional Solutions team and serves on several private and public boards and foundations throughout the U.S. 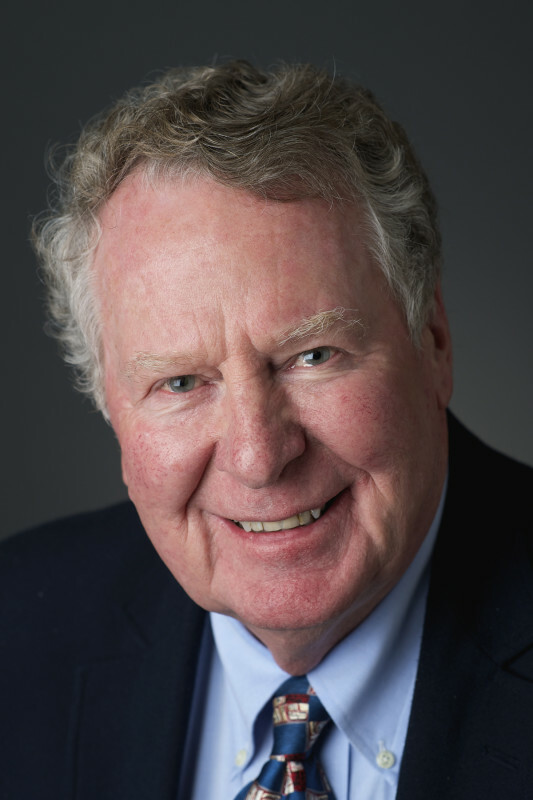 He is the former Chair of the Oregon Transportation Commission, appointed by Governor Goldschmidt and recently served on the Oregon State University Cascades Advisory Board. Mike was honored by Willamette University’s Atkinson Graduate School of Management as the 2014 Glenn L. Jackson Leadership award recipient. He and his wife Sue have been honored by the community they’ve served by the Bend Chamber and Central Oregon Builders’ Association, among others. This entry was posted in Industry Insights, Supporting our Community. Bookmark the permalink.